This high-quality computer desk is really fashionable. It occupies little space because of its compact design. The computer desk is very useful. You can put your computer or laptop on it and enjoy surfing the Internet or reading. You can also put other things, such as books, photo frames and so on. It's easy for you to use and can make your indoor life more comfortable. When you are at home, you can just sit before this desk and finish your activities. The construction of the desk is innovative which adds elegance to your room. 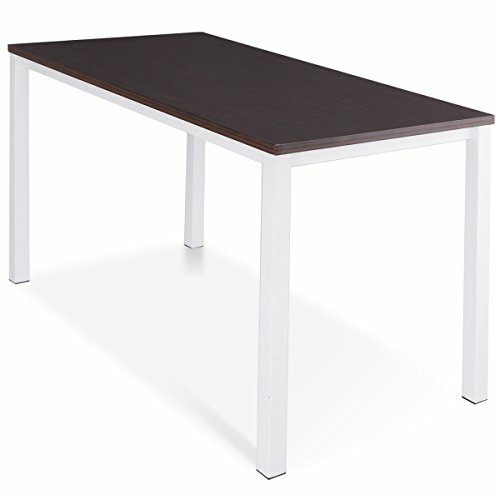 This desk is stable and can serve you for a long time thanks to its steel frame. What a wonderful computer desk! Don't hesitate to buy one! If you have any questions about this product by Apontus, contact us by completing and submitting the form below. If you are looking for a specif part number, please include it with your message.